A group of local bikers are riding to raise money and awareness for people suffering with multiple sclerosis. Sunday morning the Snake River Bros along with others rode around the Magic Valley collecting donations. 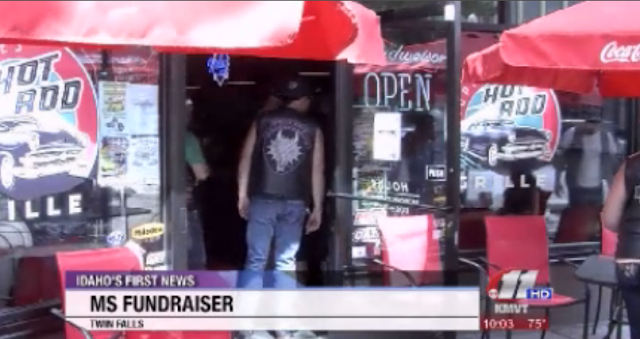 The group ended at Guppies Hot Rod Grill in Twin Falls and raffled off the donations. All of the money raised from Sunday's events will go to two special recipients who have MS.
"My wife was diagnosed with MS and a couple of my friends have it also and people don't understand what they really go through,” said member of Snake River Bros and organizer Ozzie. Multiple Sclerosis (MS) is the most widespread disabling neurological condition of young adults around the world. However, solid numbers on how many people have MS are hard to come by.